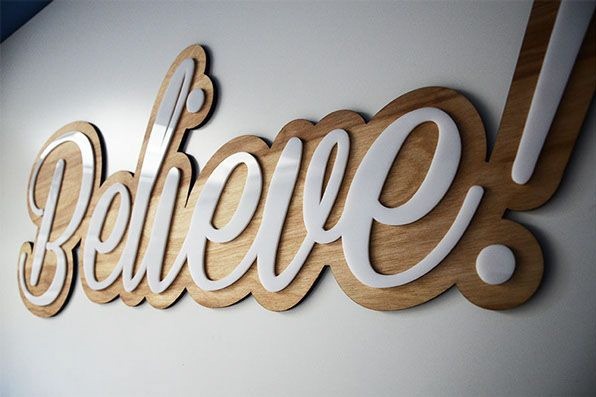 Engraving on non-metal & metal materials is what we specialise in, such as wood, paper, leather, glass, tiles, perspex, stainless steel, aluminium and more. 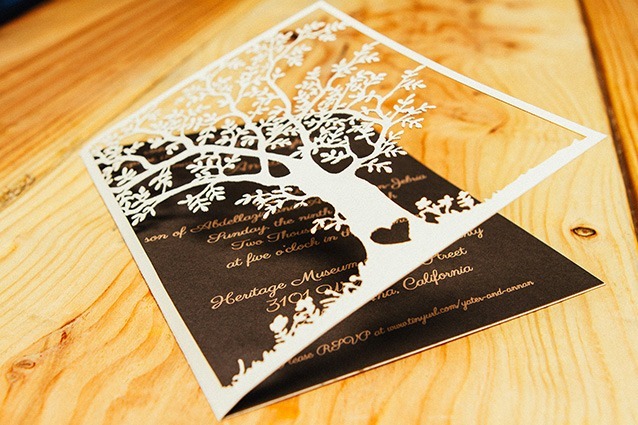 The Co2 laser machines are also able to do laser cutting but only on certain non-metal materials. 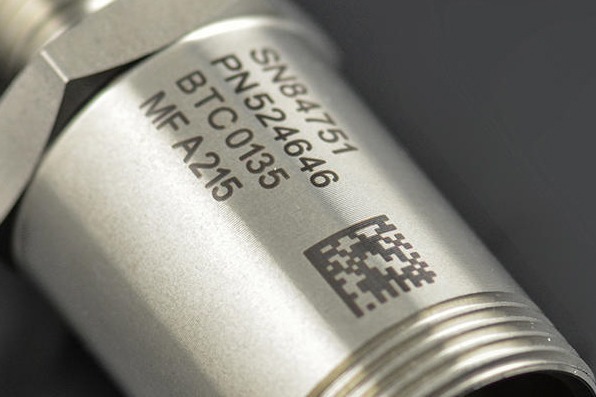 Our Co2 laser machines are fitted with ceramic laser tubes which is designed for precise engraving. So if you looking for top quality engraving that will consistently be able to meet your deadlines. Then CONTACT US today for a quote. Other products that we make using this machine is rubber stamps, name badges, engraved plaques & desk name plates should you need those items then please click on those pages for more information. Our fiber laser machines are the ones that is designed to mark on metals however we cant cut metal. Perfect for marking serial codes, barcodes, qr codes and more on various products and surfaces. 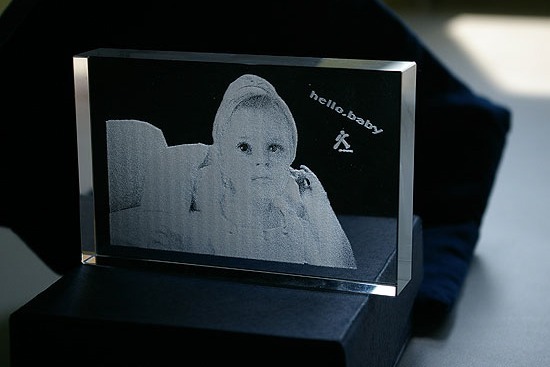 What laser machines do you use for engraving ? We use Co2 Laser machines from LTT Laser & Fiber laser machines from MRJ Laser. Our Co2 laser machine has a working size of 900 x 600mm. It is also fitted with a ceramic laser tube which is designed for precise engraving. 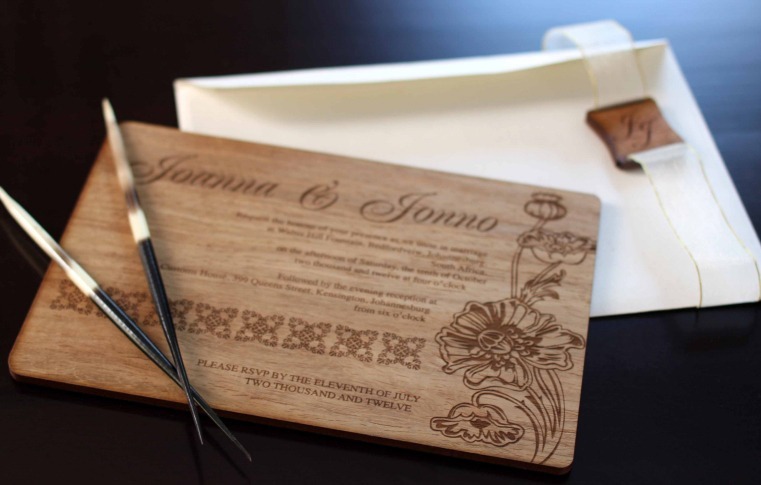 Producing beautiful engraving quality on wood, perspex, paper, leather, glass and more. 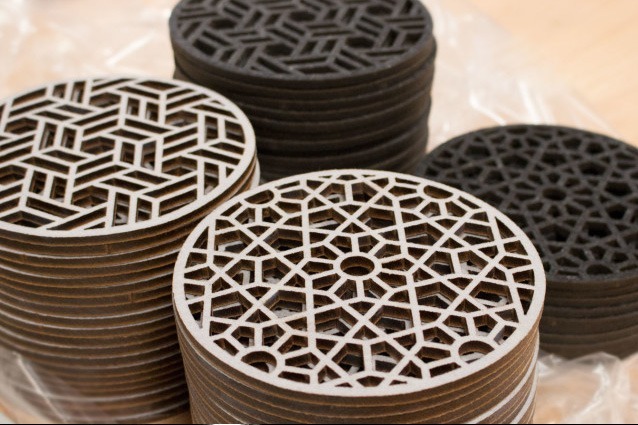 Our machine can also do laser cutting of materials such as wood & perspex of up to 6mm thick. The fiber laser has a working size of 100 x 100mm, it can mark metal such as stainless steel, aluminium, brass & more. Contact us today for all your engraving & marking needs. 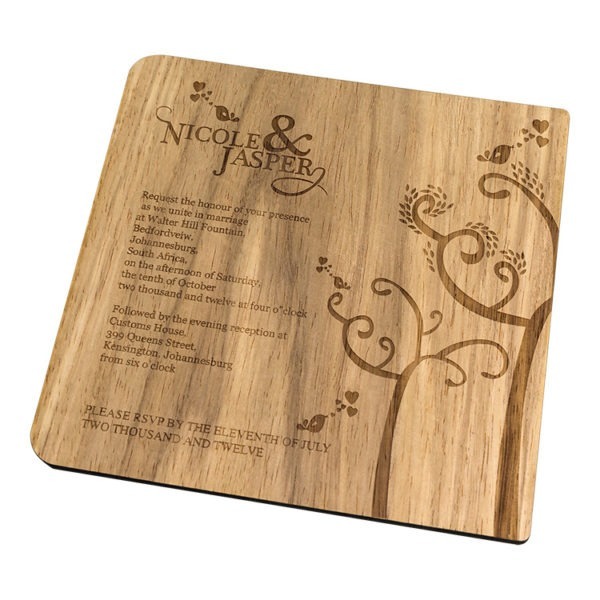 Wood is a popular surface to engrave and cut on because it has a beautiful finish & it works well with Co2 laser machines. There are many uses for wood engraving & cutting such as invitations, corporate gifts, signage, decor and more. 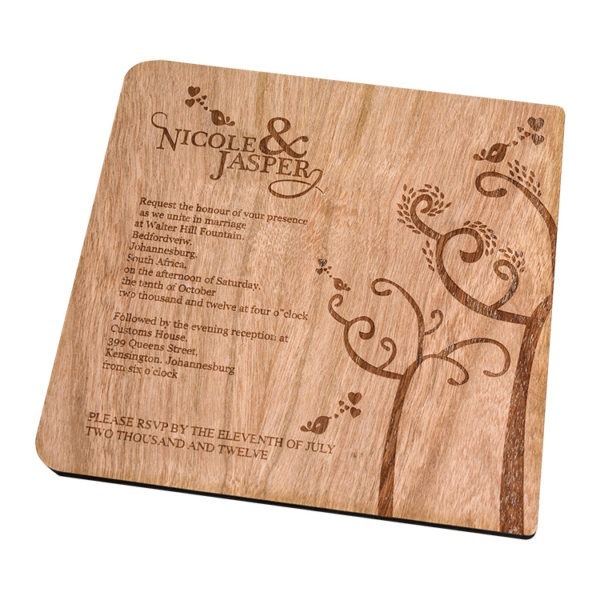 We are also able to provide the material to be engraved on, so dont worry if you are not sure what to bring us. 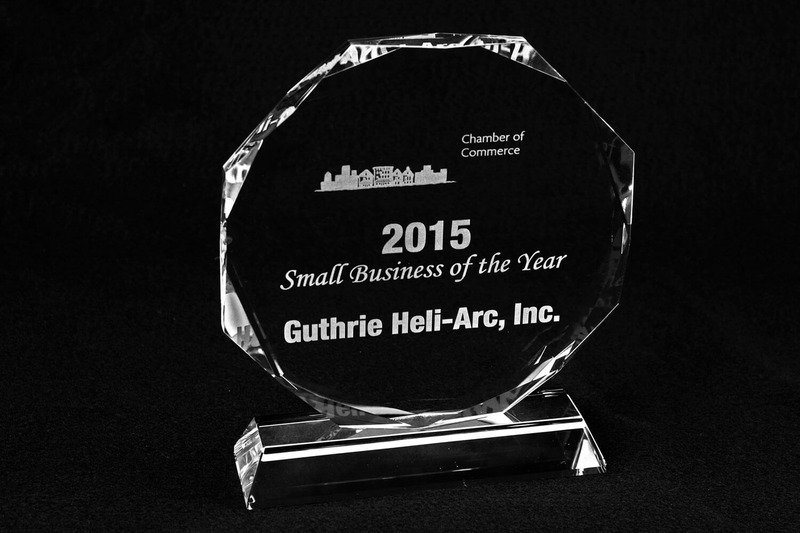 However if you have something already that just needs engraving, then we will gladly assist. We are able to take any creative design ideas that you may have and bring them to life. 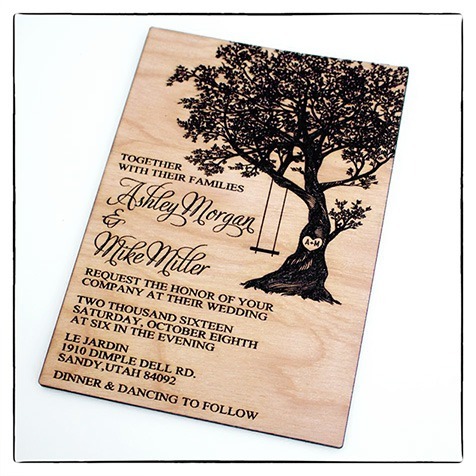 Do you have different veneered sheets for wood invitations, signage & decor ? Yes we do, we have different finishes in stock which can also come in different thickness. We are also able to mix and match the different finishes to suit your desired effect. 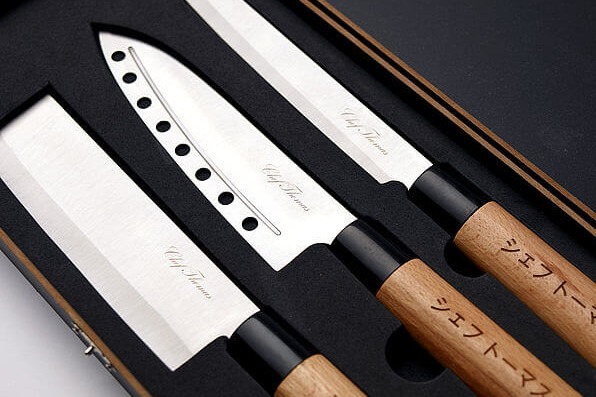 Can you cut and engrave any design ? Also can you create a design for us ? If you can imagine it then we can create it. 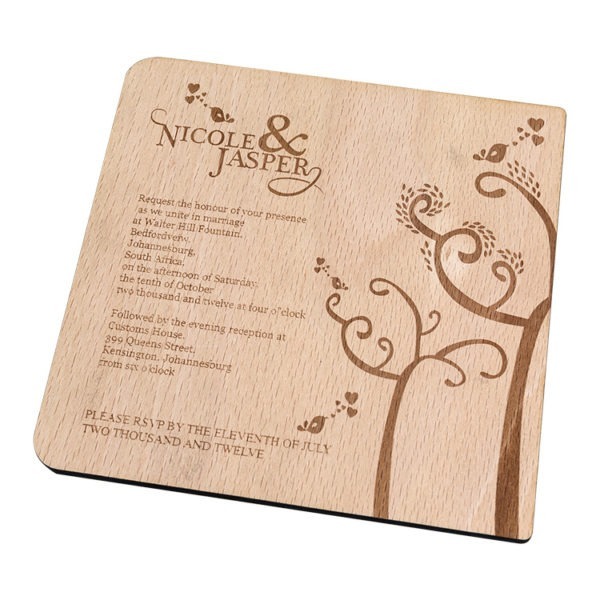 We can laser cut and engrave any design. 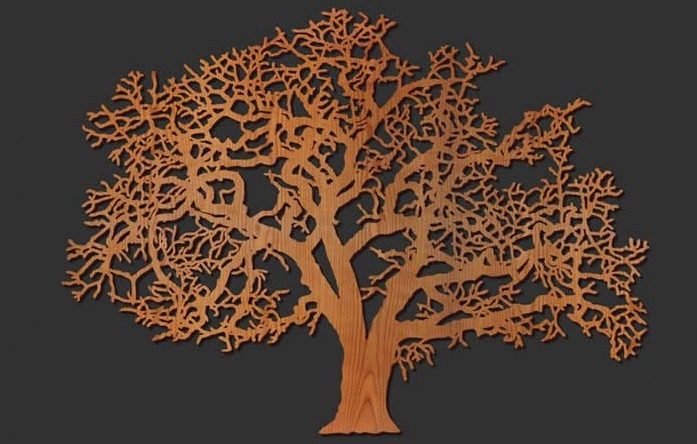 The laser machine works from Coreldraw, AI, Photoshop and more. If you have files in different formats, our designers will redraw or create new designs for your approval. There will be a design fee of R400 per hour for any new designs that you wish to have. Alternately you can choosing from our existing collection of designs. 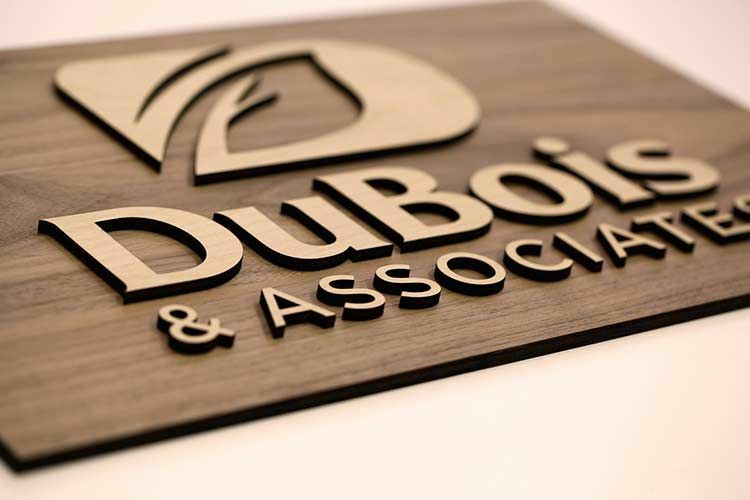 What is some of the work you have done for clients using wood ? There has been plenty of projects that we have completed for our clients, below is some ideas that can be created. 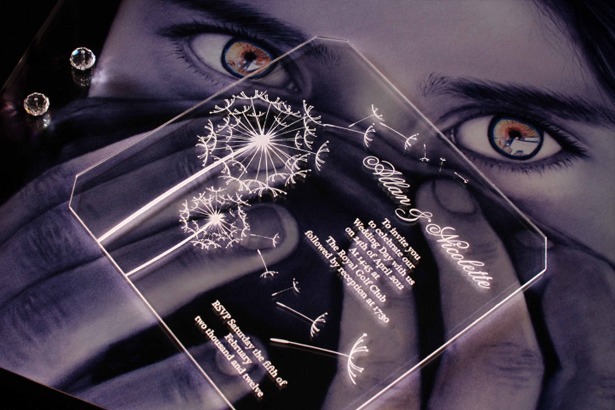 We are able to engrave on a flat piece of glass aswell as a normal circular glass. 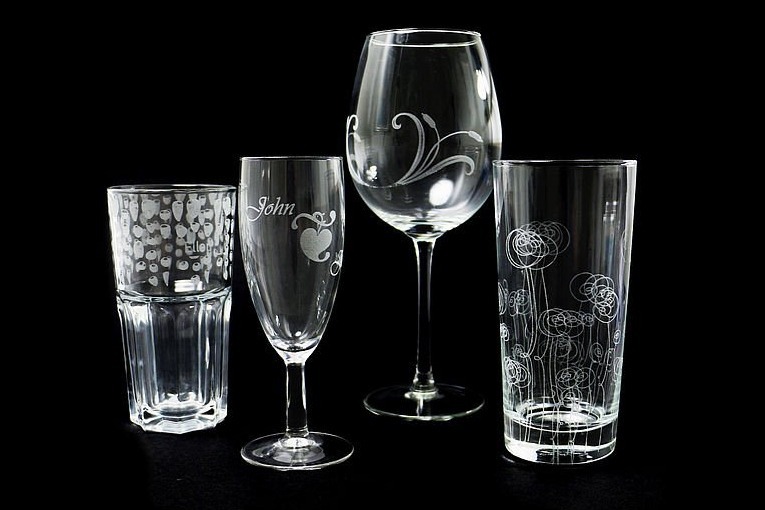 To engrave on a wine glass or drinking glass we use a rotary device which allows us to engrave all the way round the glass. The glass surface needs to be smooth to be able to engrave on. 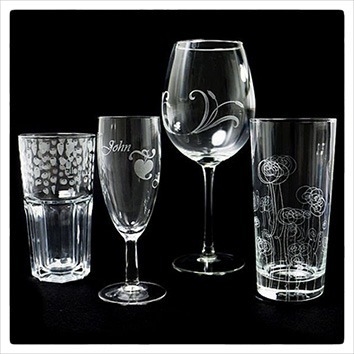 We cant do any laser glass cutting, only engraving. Glass trophy engraving is also popular which works well in the corporate industry to boost the moral of the staff. We can supply the wine glass, glass trophies ect to be engraved on or you more than welcome to bring your own. What is some of the work you have done using glass ? 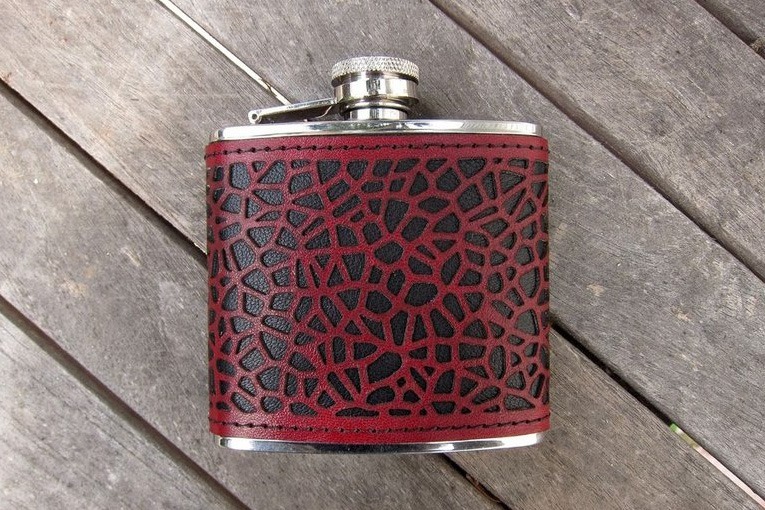 Clients usually provide us with the leather items that needs to be cut or engraved. Most of the time its for corporate gifts that need to be engraved on. 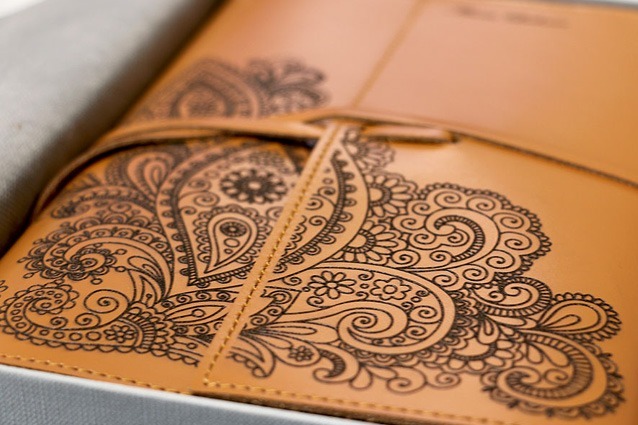 Leather engraving works well on wallets, fashion accessories, coasters and more. It is always advisable to bring an extra item to do laser engraving and cutting on, before we go ahead with the whole run. This way we can test if the engraving is to your liking, or if we need to engrave deeper or shallower. Please note that we are only allowed to engrave on 100% genuine leather items. What is some of the work you have done using leather ? 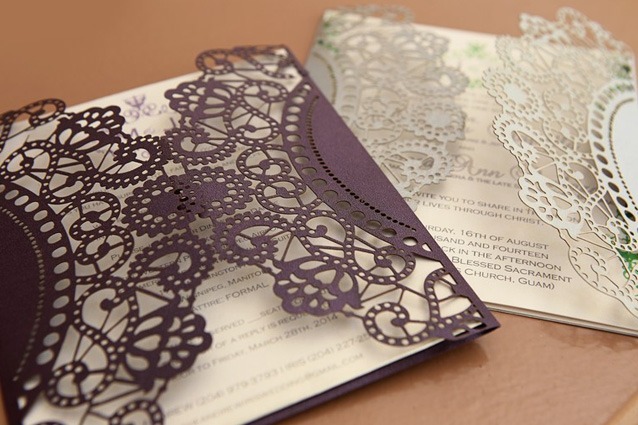 Paper engraved & cut is really popular amongst clients who are looking for unique invitations, aswell as clients who are into arts & crafts. We charge R12.00 ex per min for laser engraving and cutting. 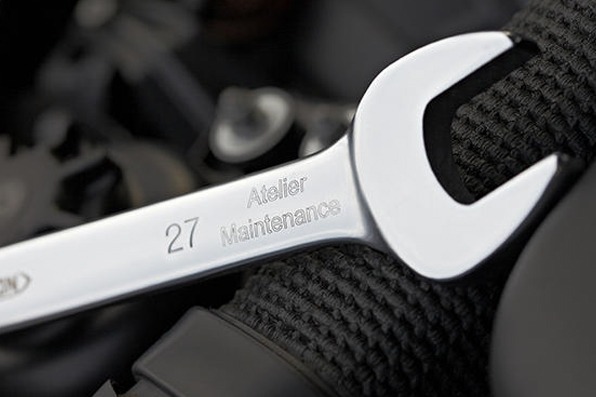 Our laser machine is able to do an estimate running time of each job before we go ahead with the run. So therefore we are able to give an accurate quote before hand. This way there is no hidden costs when the work has been done. What is some of the work you have done using paper ? Perspex is great material to be used with a Co2 laser machine. 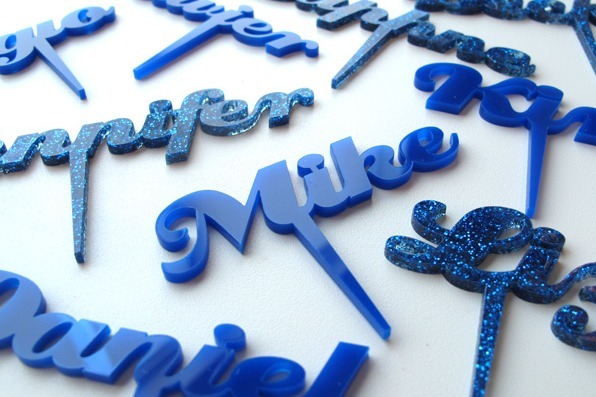 Perspex engraving & cutting can be used for a few different uses such as, perspex signs, invitations, decor and more. 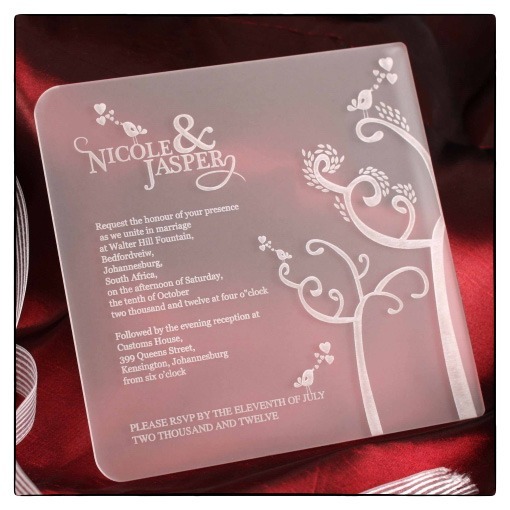 When engraving on clear or frosted perspex it can give a nice elegant finish. The engraved areas turn white & some clients even paint in the engraved parts to give a different feel. 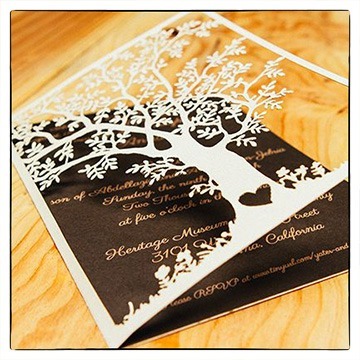 We are able to source the material to create beautiful invitations, signs, decor and more than you have in mind. What is some of the work you have done using perspex ? 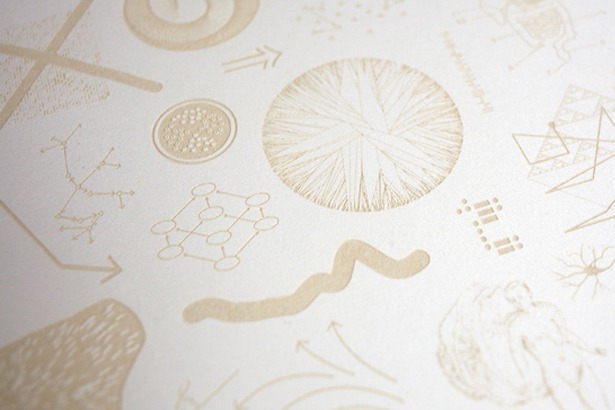 Fiber lasers work great marking on stainless steel, aluminium, brass and more. Fiber lasers have a wide range of uses from marking logo’s onto promotional items to marking serial numbers onto industrial tools. Different metals do give a different marking colour, so will be best to first test the product you want marked to see if the result is to your liking. What is some of the work you have done marking on metal ?